Discover hundreds of colors to find the right one for you. Our Painting Services NYC has a gorgeous selection of beautiful paint colors that are perfect for your project. Mix, match, try new things, and find something unexpected. Find your perfect look with the help of our design and inspiration galleries. Find the product you need in our range of quality paints. Trust that your home’s color will look great and last for years to come with our NYC Painters products. I will help you to get your home or office painted. I have simple answers to a few questions, and you’ll have an accurate quote within minutes! If you know your paint colors and are ready to book your job, select a start date and pay the deposit online. If you need a little help, I’m here to answer all your questions! Painting has never been this easy. We have all popular color trends in 2019. Impress your guests. Your guests will have an amazing impression with the ideal design that is fitting for a culinary establishment. Show off you communal areas of your house to your quests by choosing from our huge selection of different colors. Let us help you even in your workplace by creating a calm and relaxing environment suitable for productive work. Our Painting Service NYC will help you create your dream home that is a safe environment for children and satisfaction for a whole family. Different colors have become popular for specific rooms due to their performance features and aesthetic qualities. Eco paints are improving all the time. Our Painting Service NYC uses only the highest quality paint with zero emissions. Paintman has licensed and insured painting crews. Within 3-4 days, enjoy your on-time, in-budget paint job. We are one of the best NYC Painters, and we proud for it. 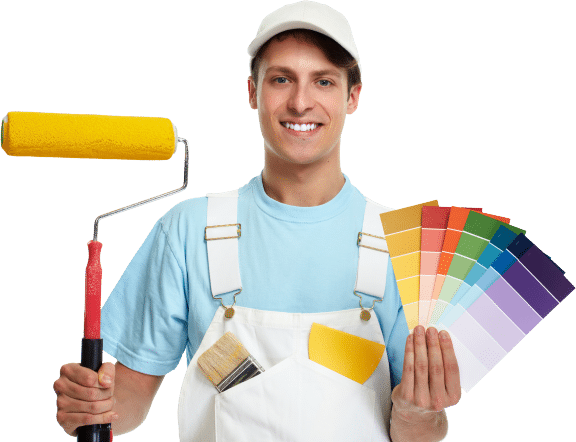 Paintman provides for you the best Painting Service NYC. We take your safety and peace of mind seriously. That’s why all of our nyc painters are background checked, licensed and insured. We also back all of our work with a 100% satisfaction guarantee, which means we’re not done until you’re satisfied.